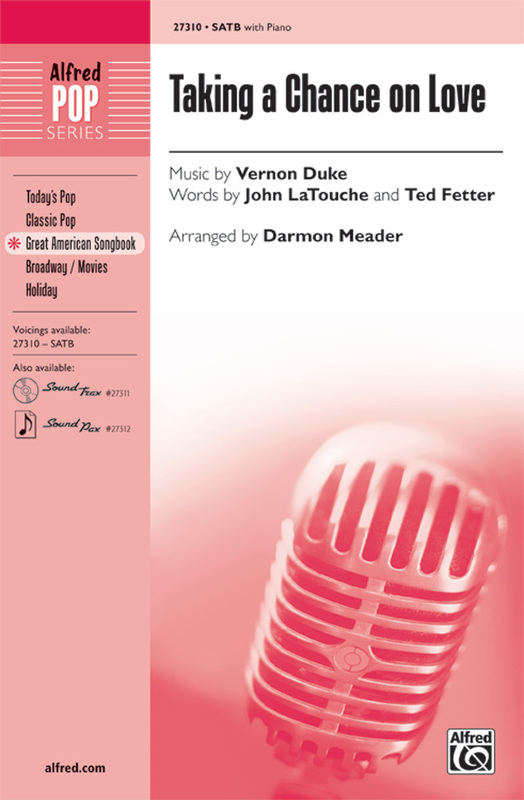 Recognized in both the jazz vocal and instrumental world, Darmon is a distinguished vocalist, arranger and saxophonist. He has achieved rapid international recognition as the founder, musical director, chief arranger, composer, producer, saxophonist, and vocalist with New York Voices. 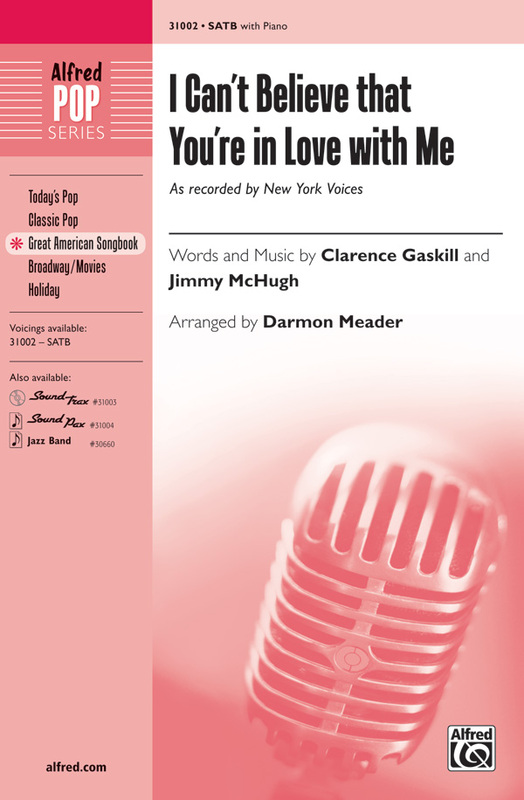 As a member of New York Voices, he has released four albums on the GRP Records label. 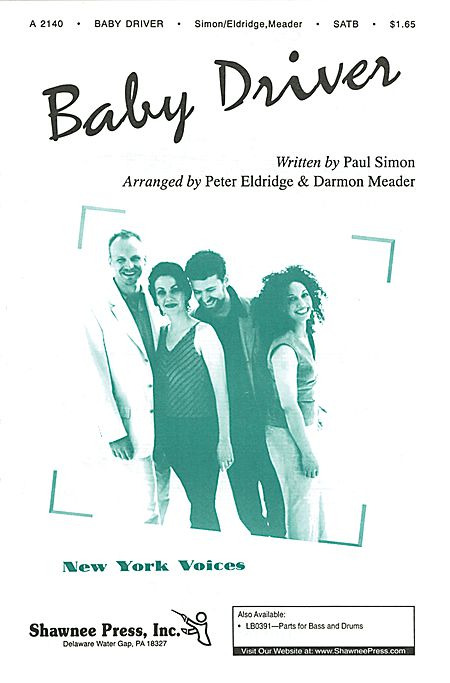 Darmon has performed and/or recorded with a variety of artists including Ray Brown, George Benson, Bobby McFerrin, Don Sebesky, Nancy Wilson, Ann Hampton Callaway, Patti Austin, Jon Hendricks, Jim Hall, Paquito D'Rivera and the Count Basie Orchestra. He has toured internationally, performing at such renowned venues as Carnegie Hall, Montreux Jazz Festival, North Sea Jazz Festival, Montreal Jazz Festival and the Blue Note Jazz Clubs in New York and Japan. 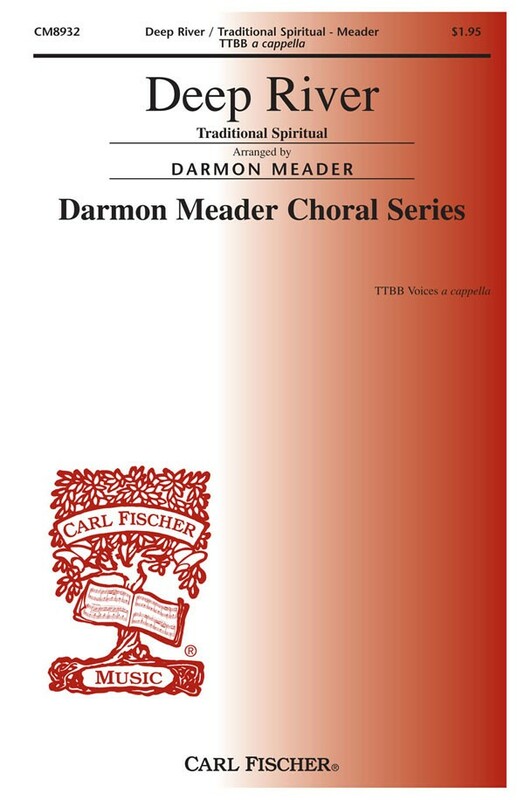 This is his newest title in The Darmon Meader Choral Series. 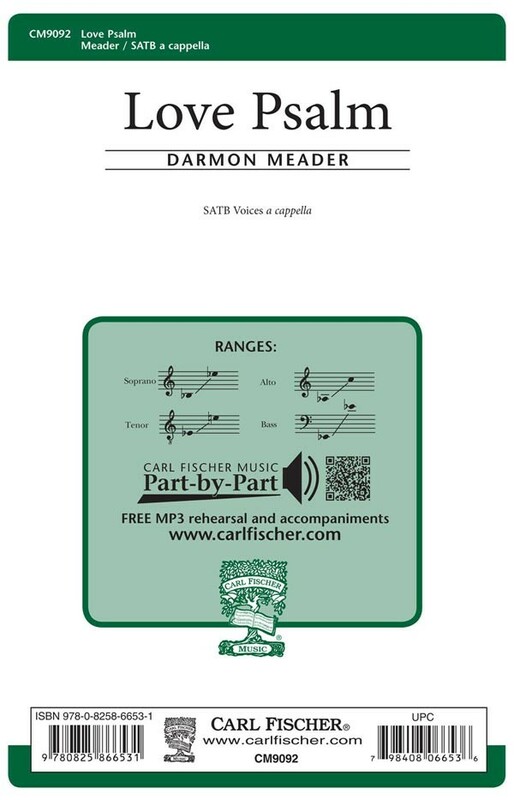 The signature "Darmon Meader Style" is evident in this fabulous arrangement, complimented with optional snare drum. 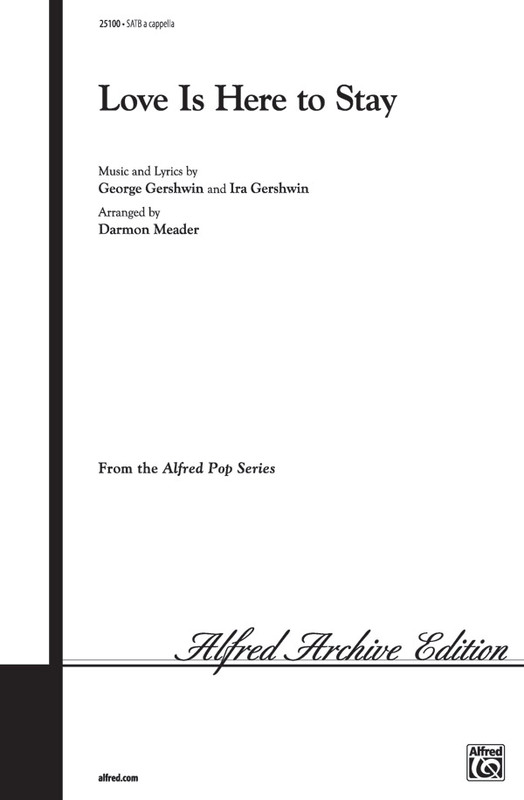 Lush vocal jazz chords and the use of the original German and Latin text in one of the verses make this a unique and stunning arrangement. 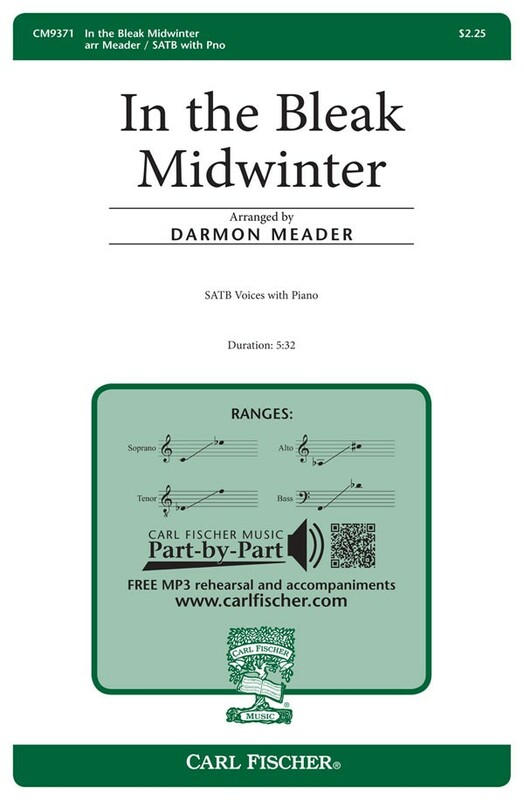 This gorgeous holiday favorite has been infused with the magic of Darmon Meader's signature jazz style. 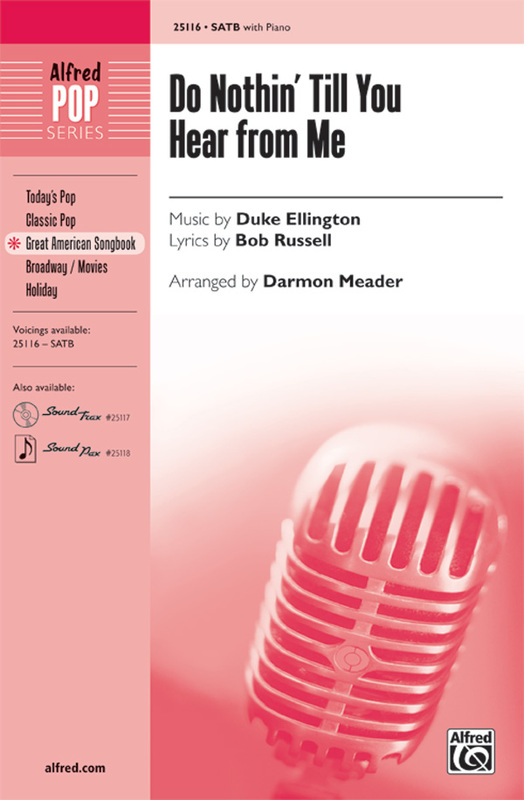 Sure to melt the hearts of holiday concert audiences, it is dedicated to jazz composer Steven Zegree and the Singing Hoosiers. 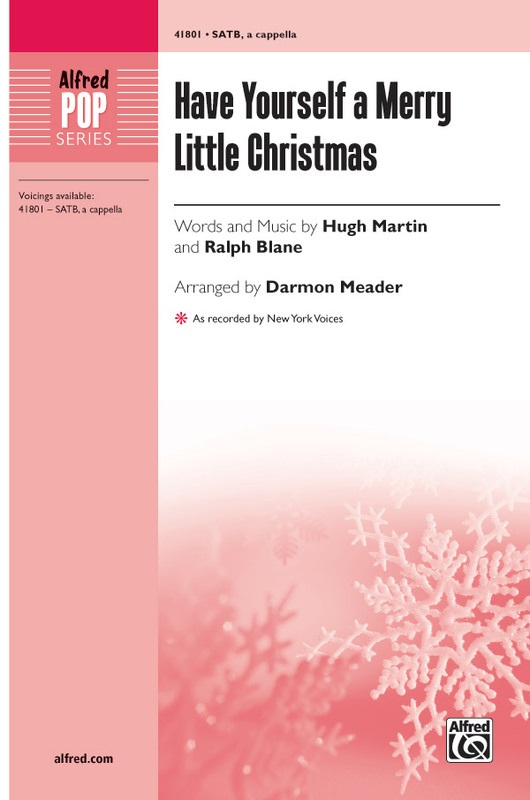 Appropriate for ensembles of all sizes, they will never tire of rehearsing or performing In the Bleak Midwinter. 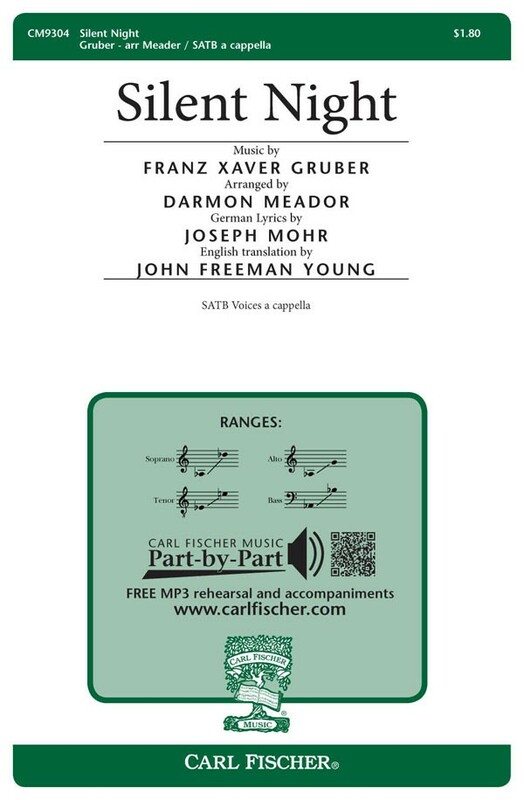 Downloadable MP3 accompaniment available. 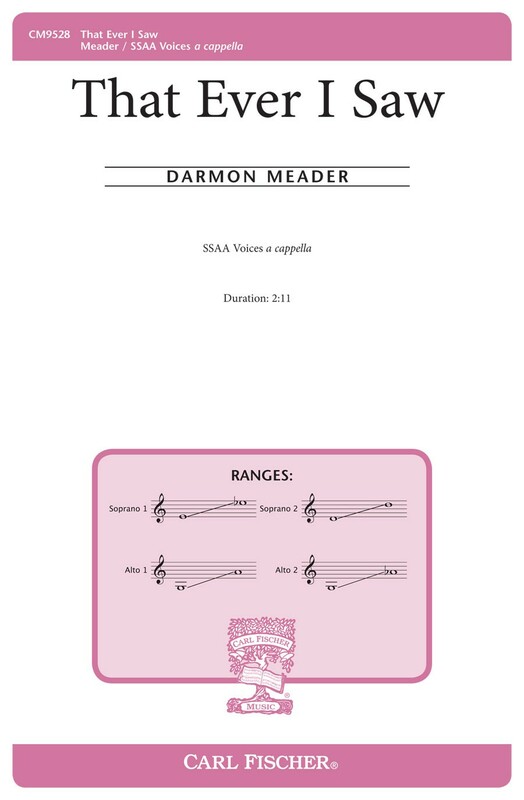 Written for the 2008 Illinois All-State Jazz Ensemble, this is a lush piece with words and music by Darmon Meader. In it he encourages young people to "learn to live a life we love," a sentiment which has universal appeal. 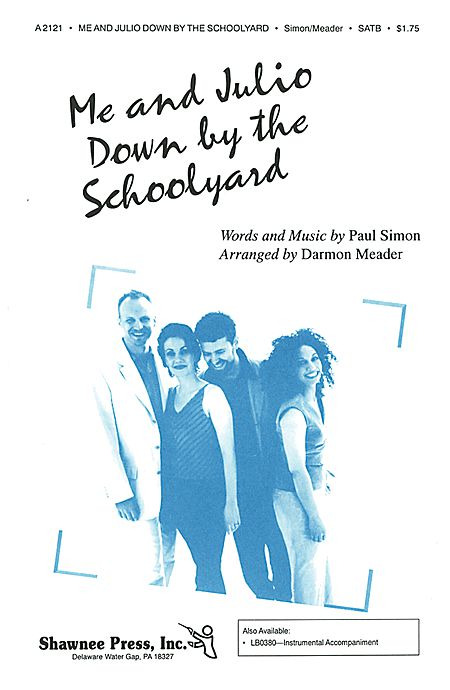 This is an inspirational piece suitable for ensembles of all sizes and would also be very effective on end-of-the-year programs. 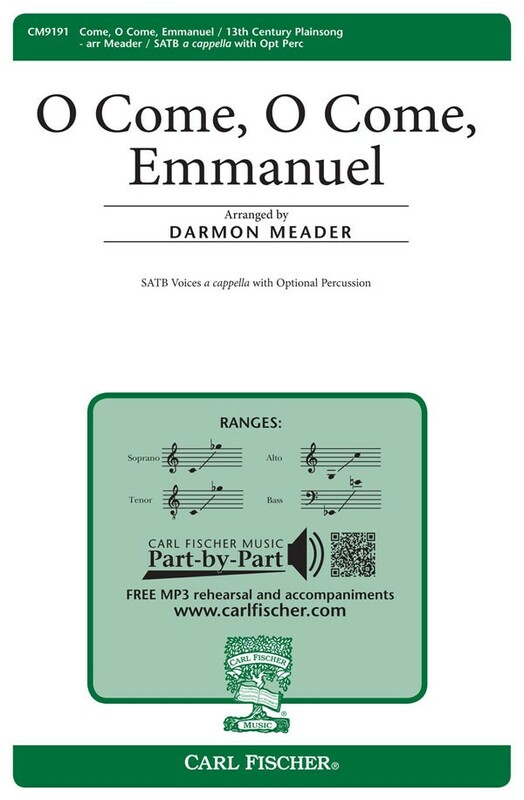 Darmon Meader works his magic with the familiar carol "O Come, O Come, Emmanuel." 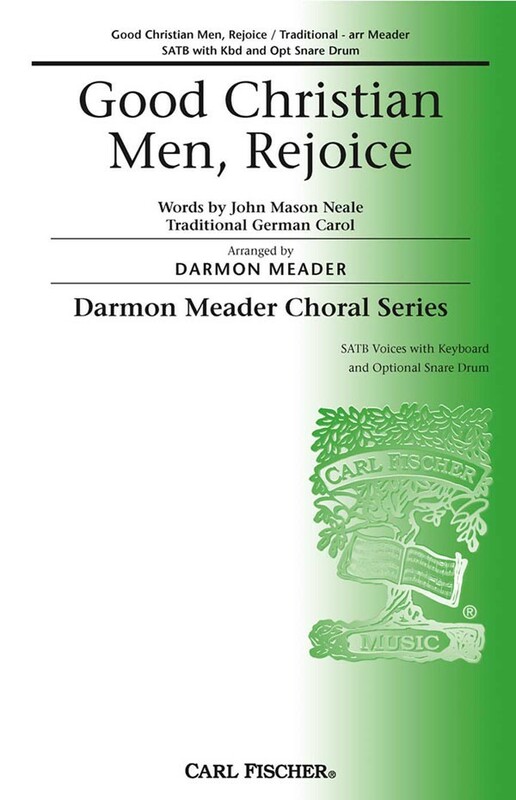 This particular carol seems to lend itself to the many metrical alterations and rich harmonic textures we have come to expect from Meader and The New York Voices. 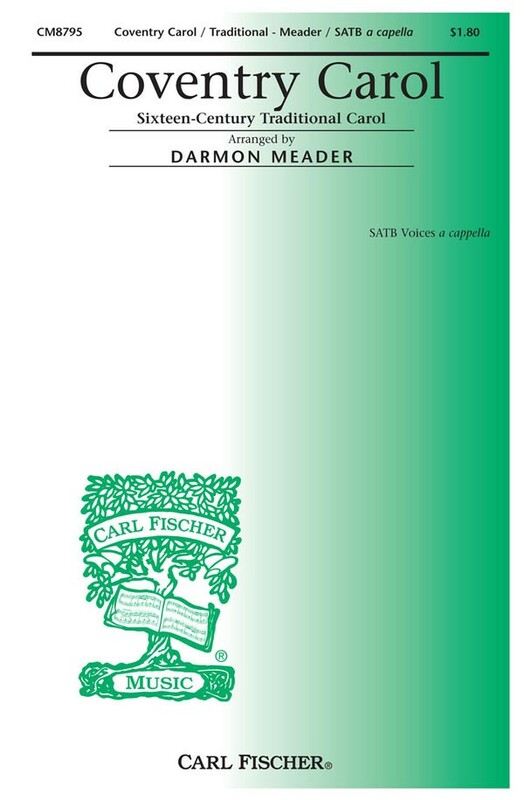 This arrangement is for SATB voices accompanied by percussion (tambourine, hand drum, snare drum and bass drum). A great seasonal selection for ensembles of any size. 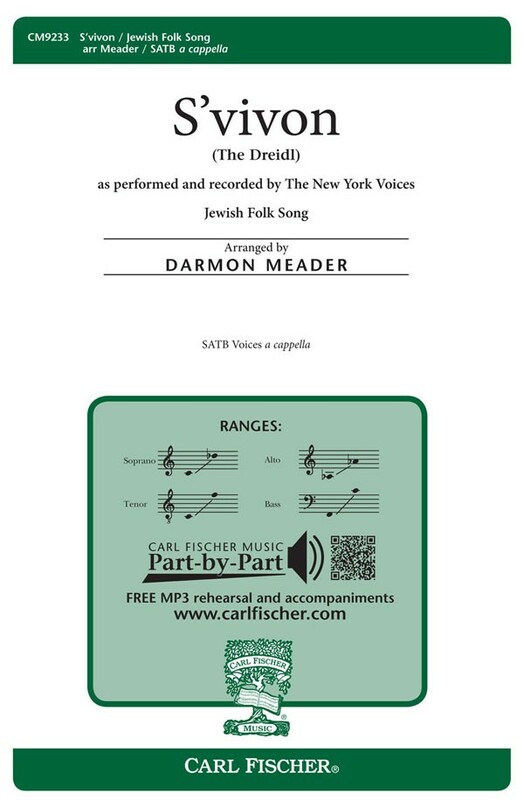 S'vivon, or "The Dreidl," is a Jewish folk song in an expressive, lush setting by Darmon Meader for the New York Voices. 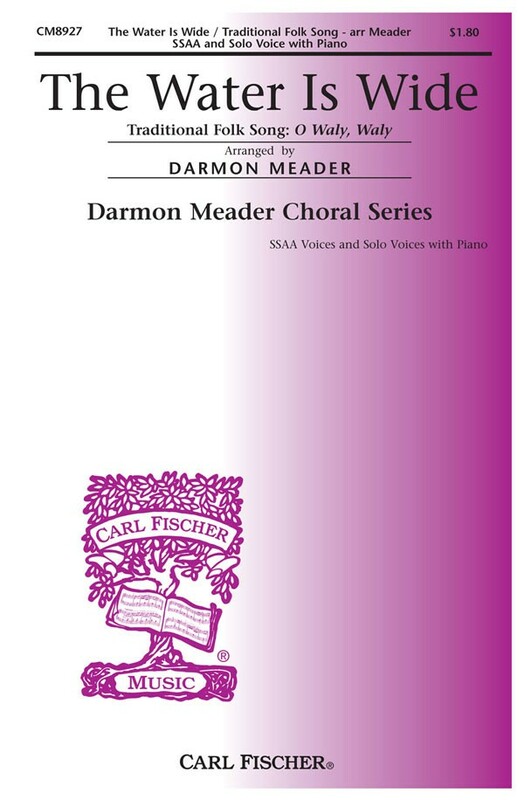 Originally recorded for the charity Pioneers for a Cure: The Am Yisrael Chai Collection, Darmon Meader's arrangement of this seasonal classic finally available in print; perfect for ensembles of any size, and more specifically, show choir/ or jazz choir. 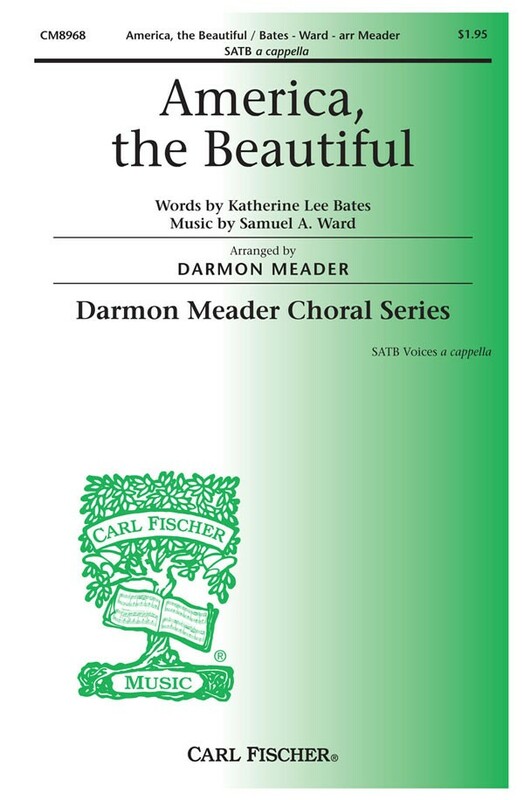 One of the most beautiful of all American Folk Songs is given a restored, classy setting by the very gifted director and arranger of the New York Voices ensemble, Darmon Meader. 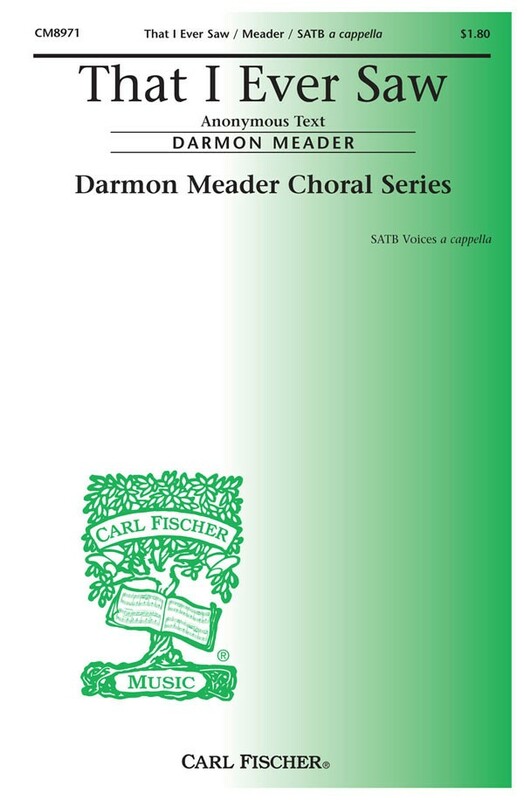 Skillfully balancing unison passages with satisfying fourpart textures, Meader's a cappella version of this well-known melody is a wonderful concert choice for a good high school or college choir. 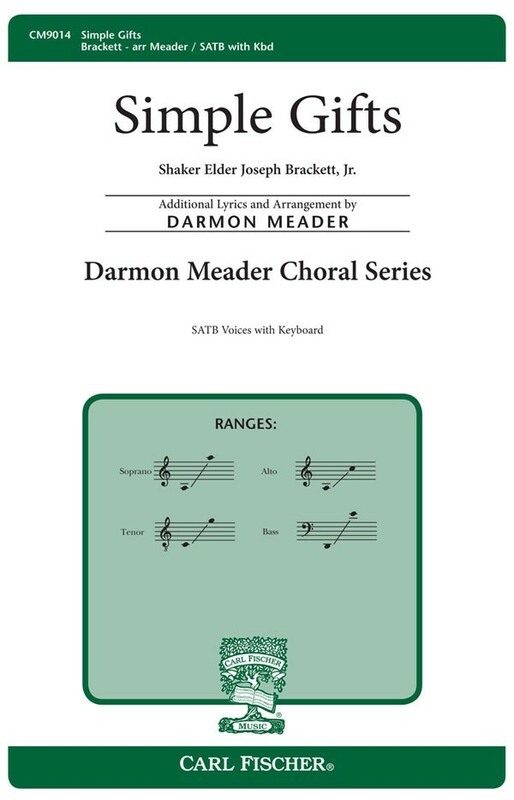 The Darmon Meader touch is applied to the ever-popular Shaker tune in a choral setting and is destined to become a standard for choirs with a taste for classy arrangements. The harmonies are lush, rhythms complex, voicings dramatic and the overall effect, stunning. 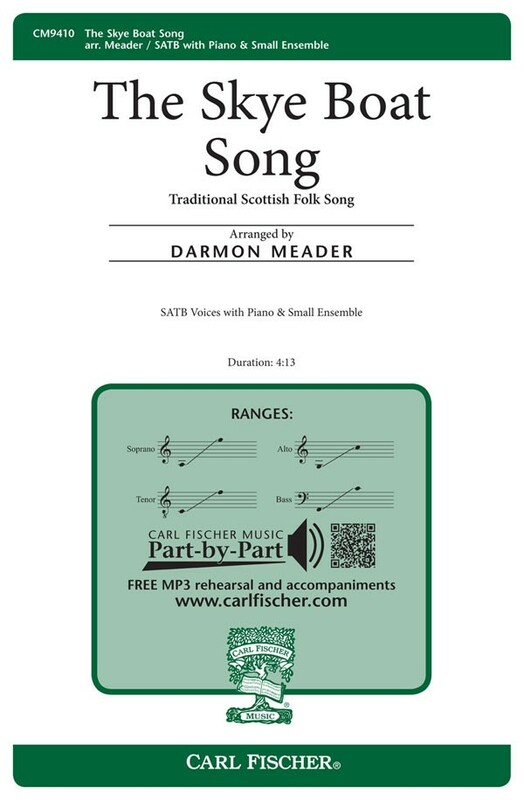 Originally commissioned for several combined choirs, this arrangement is a modern interpretation of the classic Scottish folk song with Darmon Meader's updated harmonic and rhythmic sensibilities. 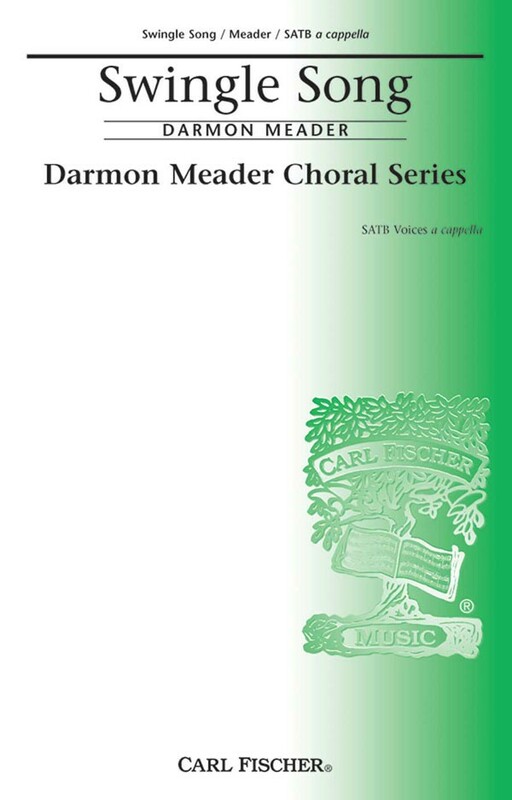 Though treated with a more modern approach, a traditional choir will find this piece to be very approachable as they explore the more intricate, lush harmonies for which Darmon has become well-known contest and festival approved! 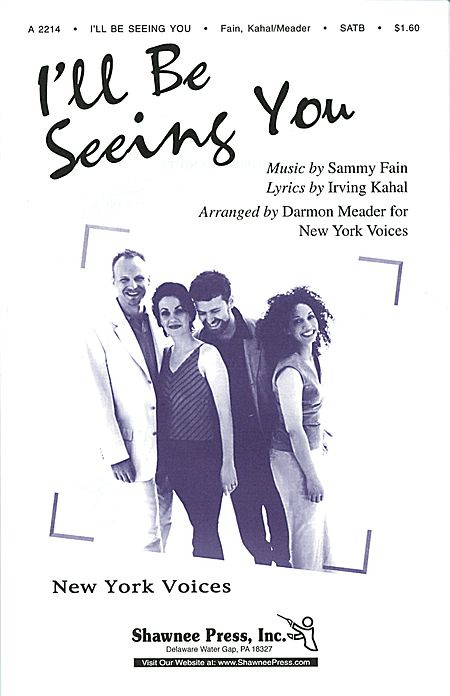 Reminiscent of the vocal stylings of the Swingle Singers," this Darmon Meader original uses text of doo bah doo bah doo and a swingin' melody line which effectively builds into a bluesy groove. 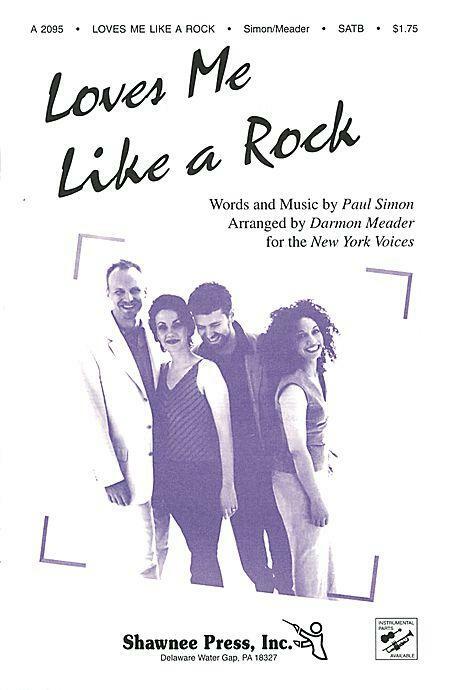 It's a vigorous a cappella workout for the more capable vocal jazz choir. "She is gentle and also wise; of all other she beareth the prize, that ever I saw, to hear her sing, to see her dance!" 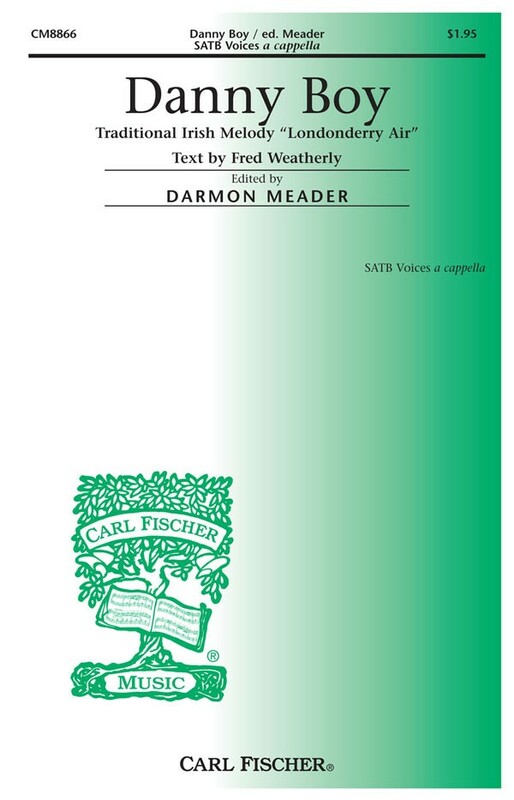 is a delightful anonymous text, stunningly set in a soft, romantic song by Darmon Meader. 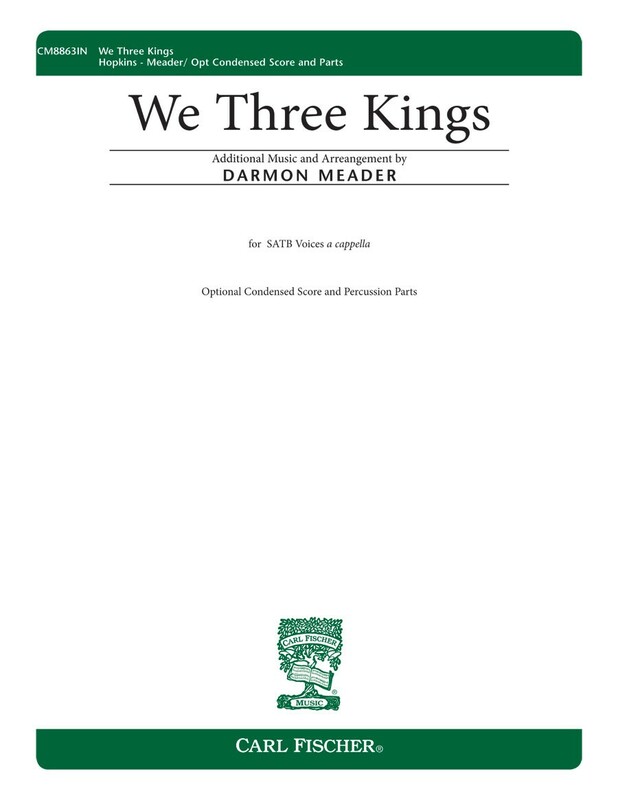 This choral work will soon find its way into the repertoire of a cappella treble choirs everywhere. 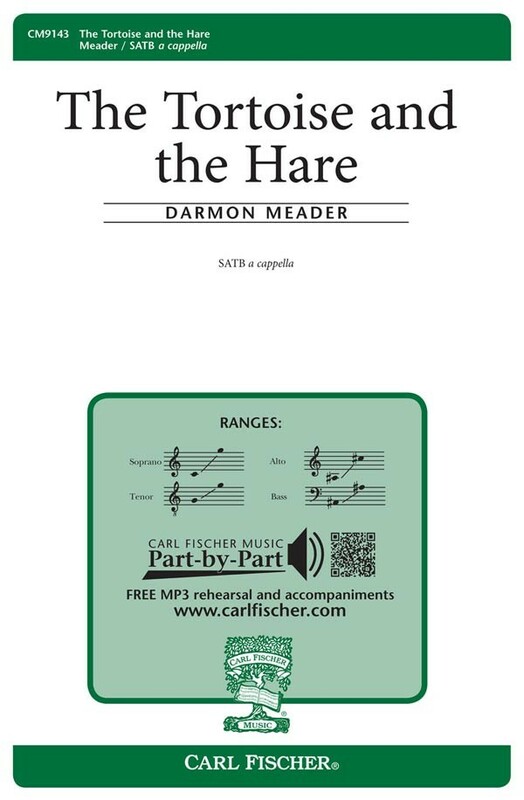 Darmon Meader's second SATB original setting of an Aesop fable (the first being The Tortoise and the Hare, CM9143) is a fun challenge and well worth the journey for any seasoned ensemble. 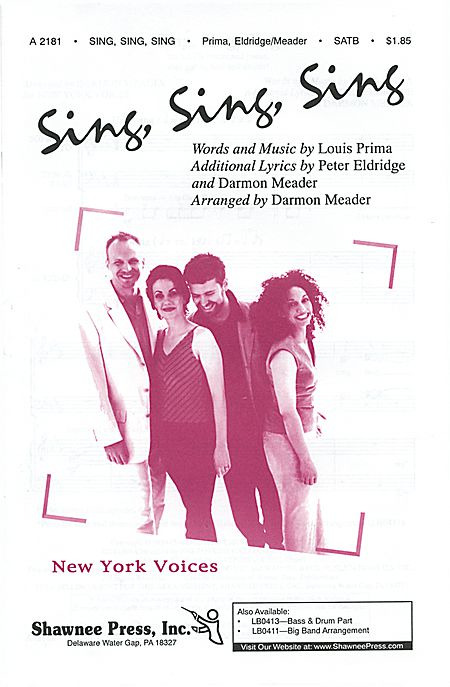 With hilarious lyrics and Meader's New York Voices idiomatic jazz writing, this piece is sure to be a concert hit. The lovely Christmas favorite, The First Noel, is given a straightforward arrangement by New York Voices leader, Darmon Meader. 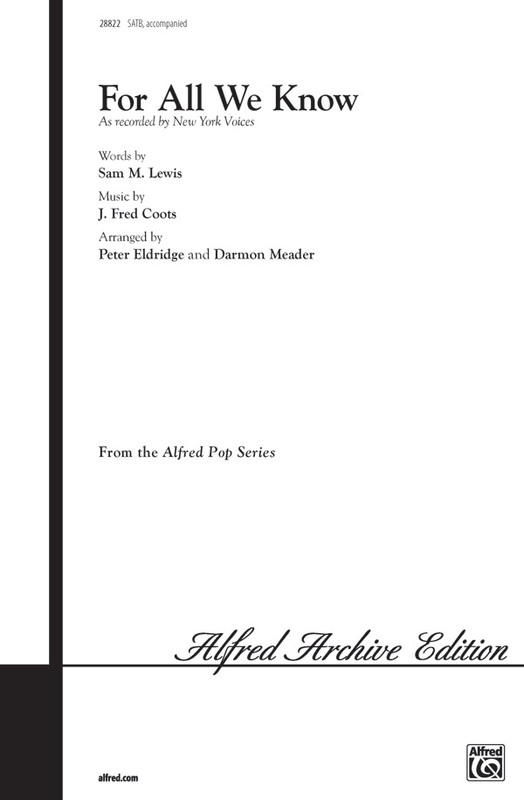 There is a judicious mixture of unison writing and part-writing based on standard settings, with a more elaborate and harmonically rich treatment on the last verse. 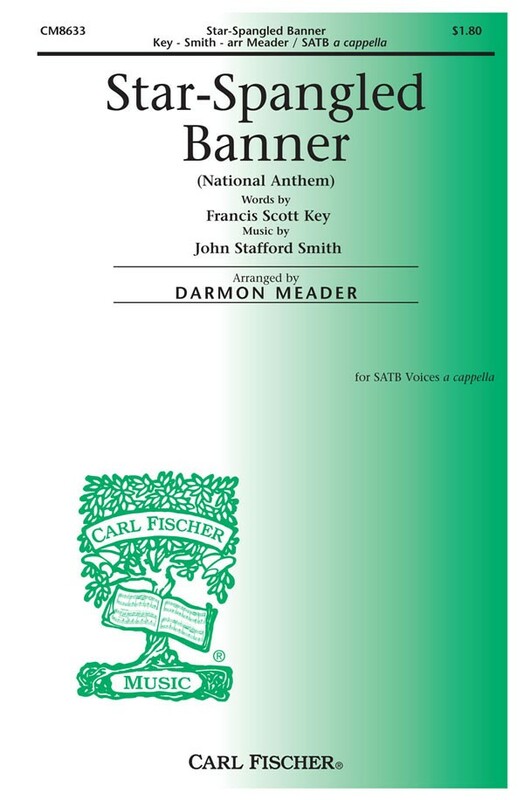 A beautiful arrangement, with some divisi in the bass and women's parts, of the National Anthem and in the standard key of Ab Major. 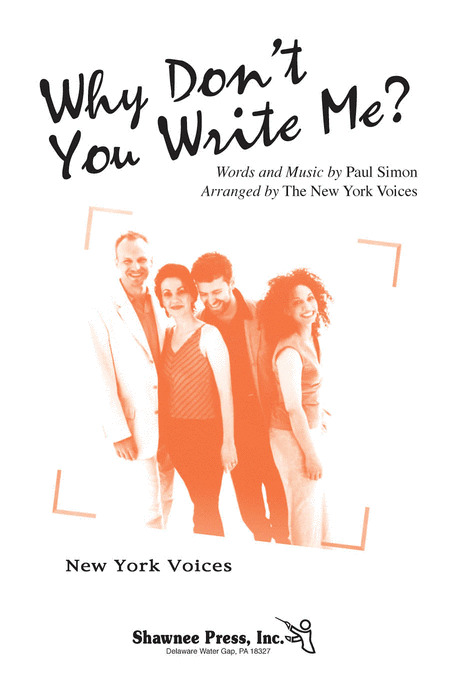 The enriched part writing gives this fine version a fresh and full-sounding flavor characteristic of the writing for Mr. Meader's group, The New York Voices. 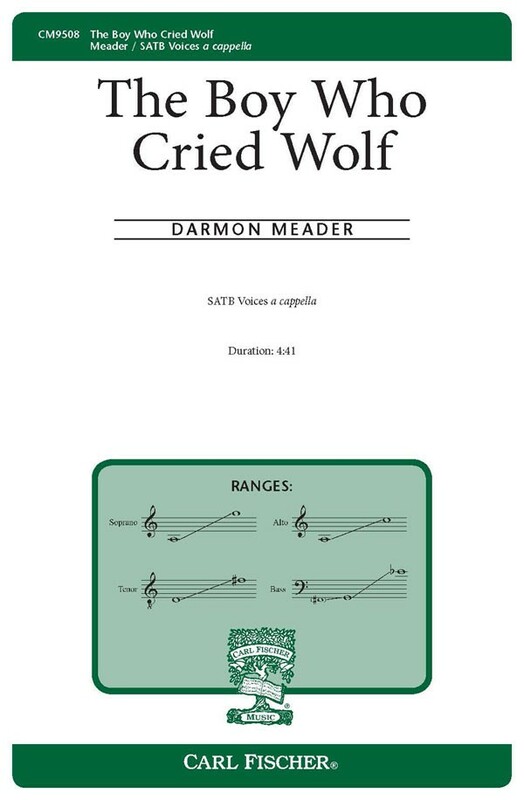 Darmon Meader presents a favorite Aesop fable put to song. It starts slowly like the turtle, and ends quickly like the bunny! 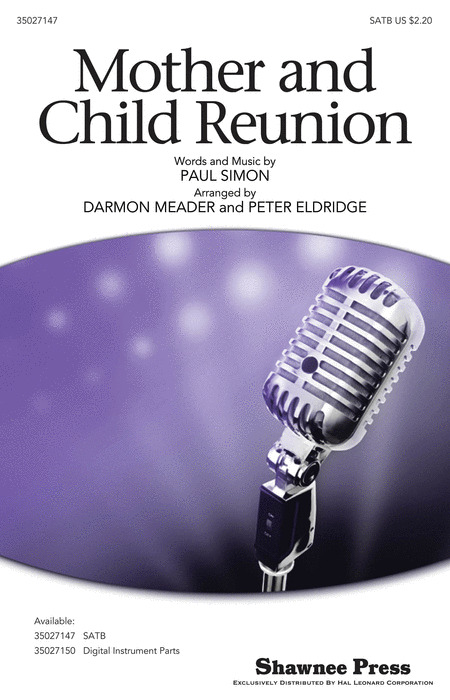 A fun challenge for any group, and enjoyable for all audiences. High School and above. 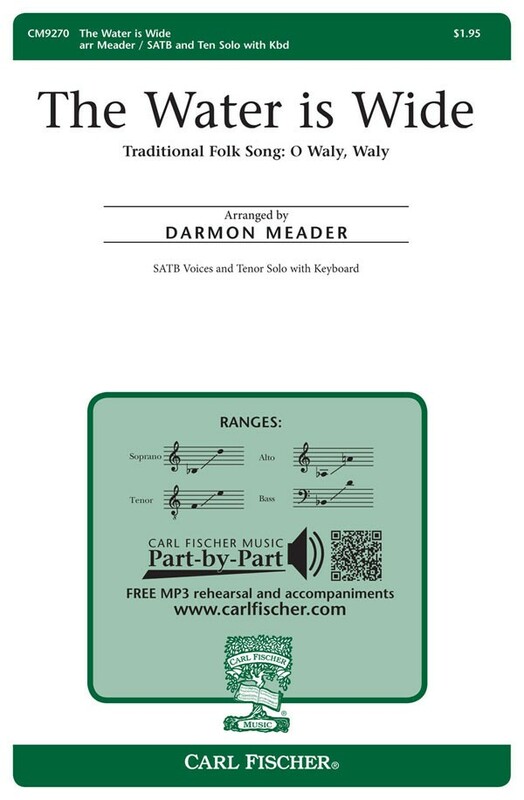 Darmon Meader's arrangement of this well-known folk song expertly blends lyricism with jazz. 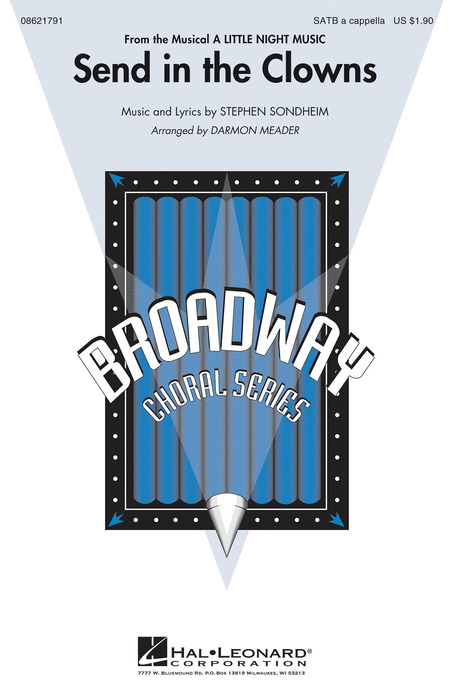 Gorgeous harmonies and solo opportunities abound in this sure-to-please choral. Also available SSAA. High school and above. 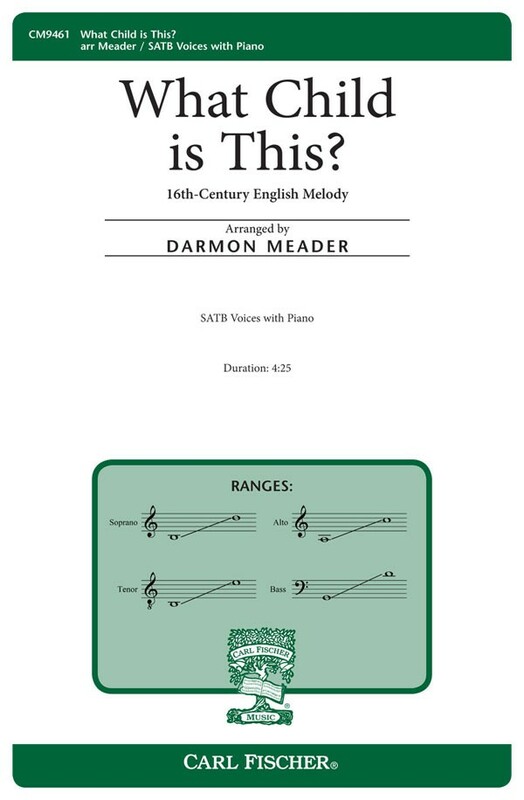 Darmon Meader : What Child is This? 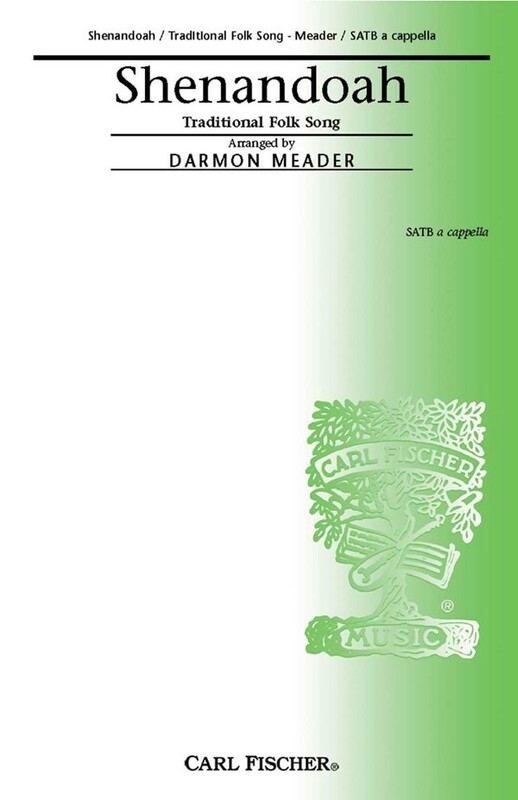 Darmon Meader uses early and classical music qualities with harmonic updates and new melodic ideas in his arrangement of this classic English Christmas carol. Those familiar with his style will not be disappointed and those new to his music will be delighted to program this holiday favorite.